Build your own dilly cart and race it in the amazing setting of National Trust Lanhydrock Park, for fun or to win! As long as you're 5 years old or over, then there's a class for you to enter, and there's prizes for the winners. One of the most popular events on the Islands youth calendar. 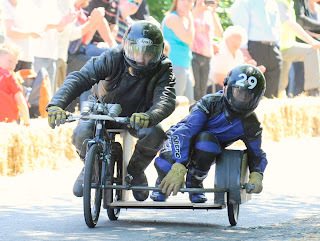 The 2010 Richards Castle Soap Box Derby will be held on Sunday July 11th on Hanway Common, near Ludlow in Shropshire. The SCA is not associated with this event in any way. If you have any questions about the event, please contact the organisers directly. 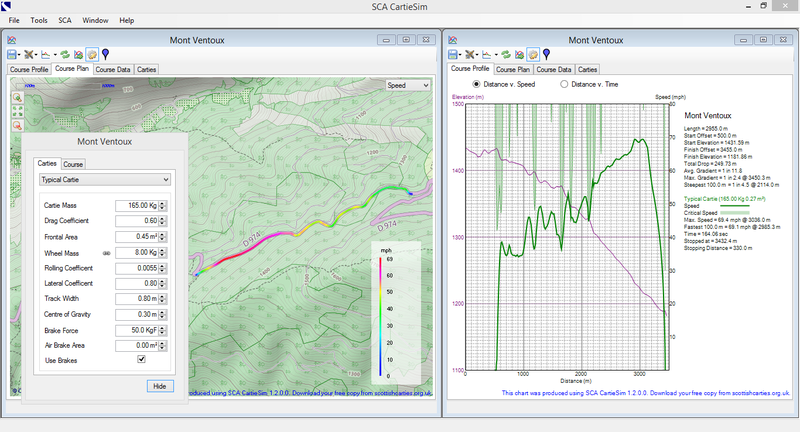 The longest and fastest race in the UK - definately not for the faint of heart! Entry forms available for download from soapboxracing.co.uk. Classes for soapbox and gravity sidecar. 20 Teams only so first come first served. All carts built to Belchford/Cadwell spec will be suitable only minor mods will be required ie rear view mirrors. In aid of the Pilgrims Hospice, Ashford and Aldington School PTFA, Aldington. Full details at the Aldington Soapbox web site. 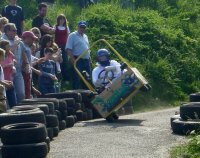 Following the success of the Raft Race in recent years, Ellon is hosting its first Pedal Car Championship in the summer of 2010. The streets will be closed off to make way for a fun day of racing where teams will compete in a series of races to raise money for their chosen charities. This is a race for human powered pedal vehicles so your gravity powered racer will probably not do very well without a few modifications, but if you're interested and have enough time to fit some gears and pedals it should be a fun day out. The Fourth Cookham Dean Gravity Grand Prix will be held on Sunday 12th September 2010. It is a fun event run by The Kaffirs of Cookham Dean to raise money for The Thames Valley & Chiltern Air Ambulance. 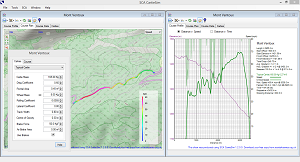 The course will be from the junction of Church Road and Spring Lane to Uncle Tom’s Cabin. Up to thirty carts will compete for a variety of prizes. The 9th Belchford Downhill Challenge will take place on Furlongs Lane, Belchford on September the 19th, 2010. New rules are planned, so make sure your cartie conforms to their new specifications. 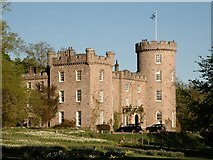 See their web site for full details. Organised by Apple Head Gravity Sport and run at Cadwell Park race track in Lincolnshire. 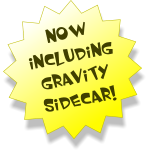 Includes soapbox, gravity bike and gravity sidecar. Entry forms, rules, etc are on the Apple Head web site.